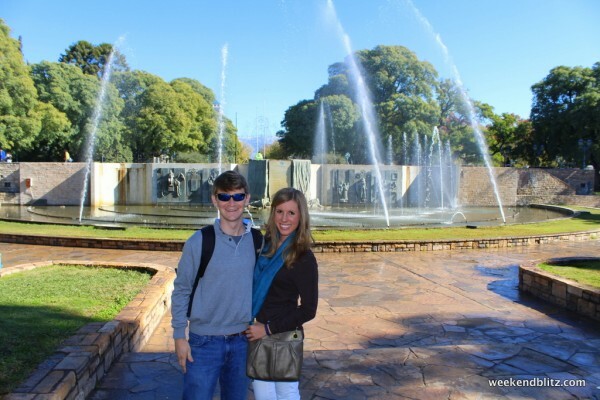 We stayed at the Park Hyatt Mendoza and would highly recommend it. It is in the perfect location and quite luxurious. 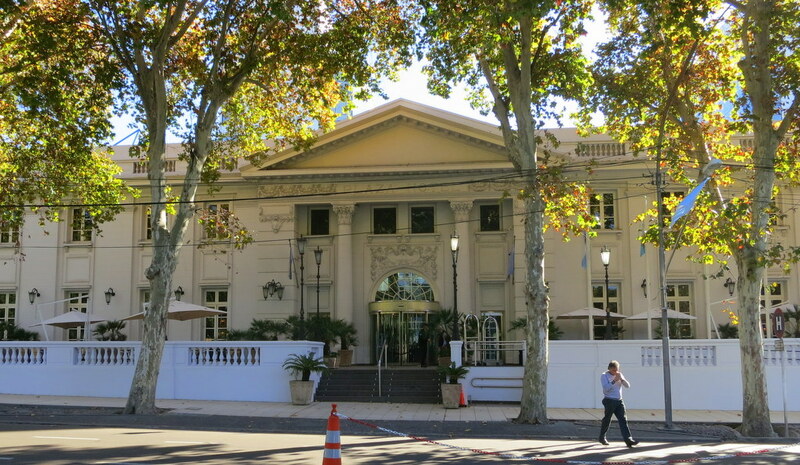 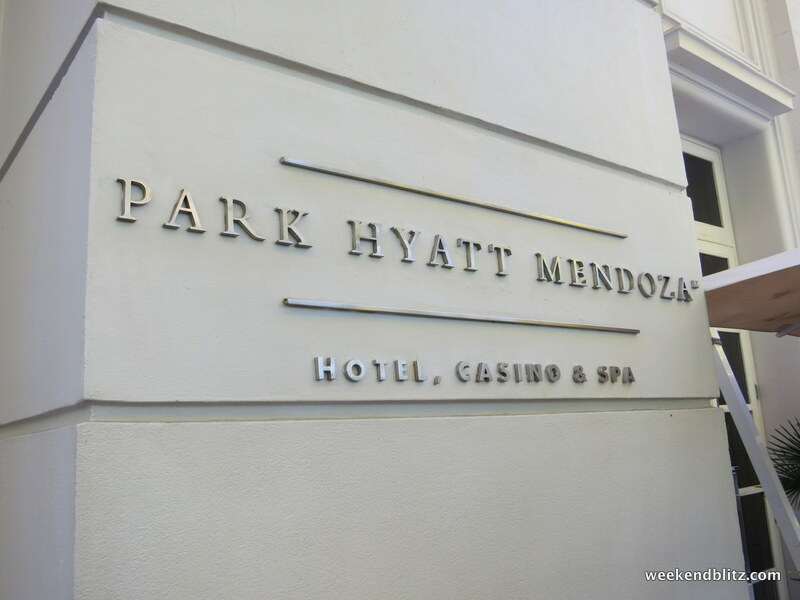 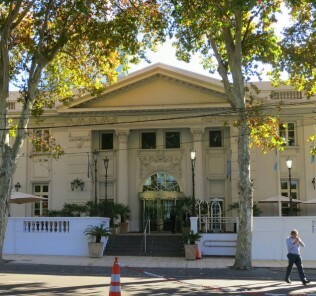 Find our full review here: Park Hyatt Mendoza Review – Mendoza, Argentina. 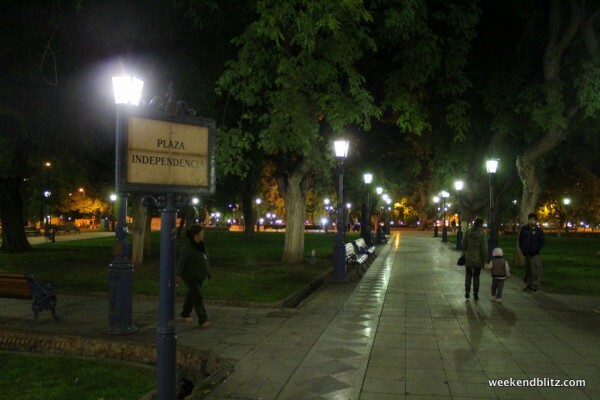 Start your day at off at Plaza Independencia, the true center of the town. 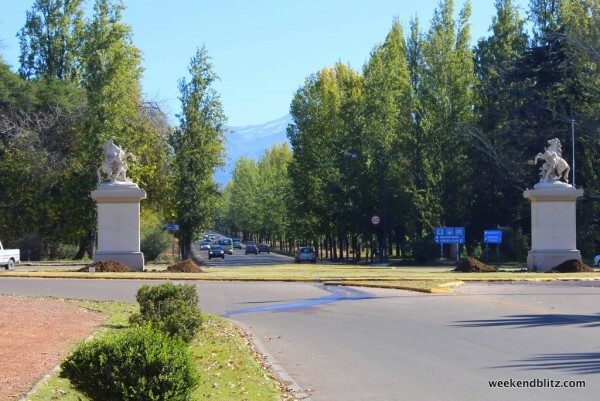 Here, you’ll find plenty of locals, anyone from school kids playing to couples basking in the sun to retirees just hanging out to pass the time. On the weekends and some evenings, you’ll find local vendors selling art and trinkets. 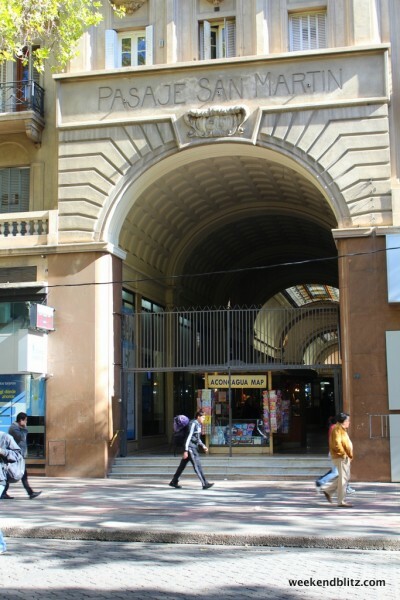 From the central square, head east towards the city’s pedestrian mall. 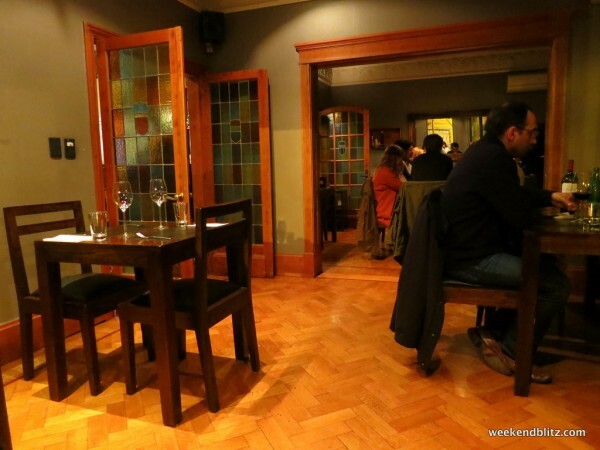 Here, you’ll find tons of restaurants with plenty of outdoor seating. Although we found them to feel a bit touristy and expensive, it might just be worth it if the weather is nice to post up and people watch along the lively walkway. 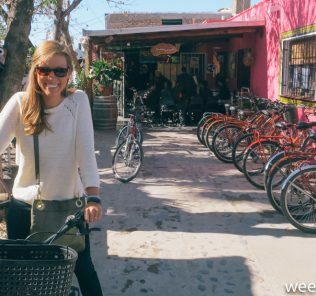 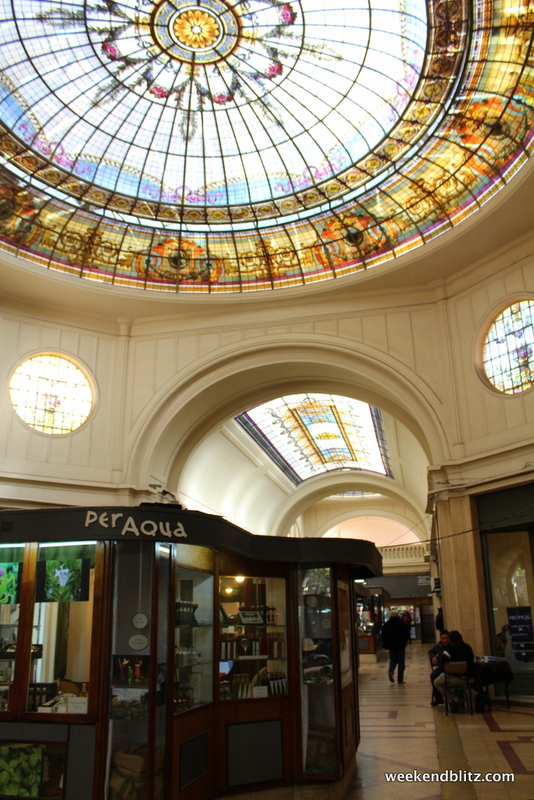 Along with restaurants, there are also cute coffee shops and boutique stores, so it’s well-worth a walk. 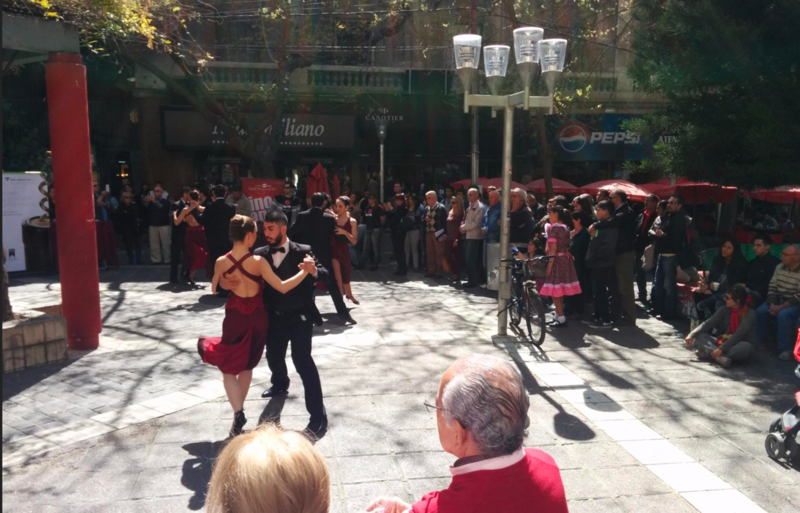 You might even see an impromptu tango dance! Make sure not to leave the area without popping into the Pasaje San Martin and the historic shopping gallery’s exquisite stained glass skylight. After a coffee and snack (we’re partial to alfajores), make your way towards two of Mendoza’s other large squares. 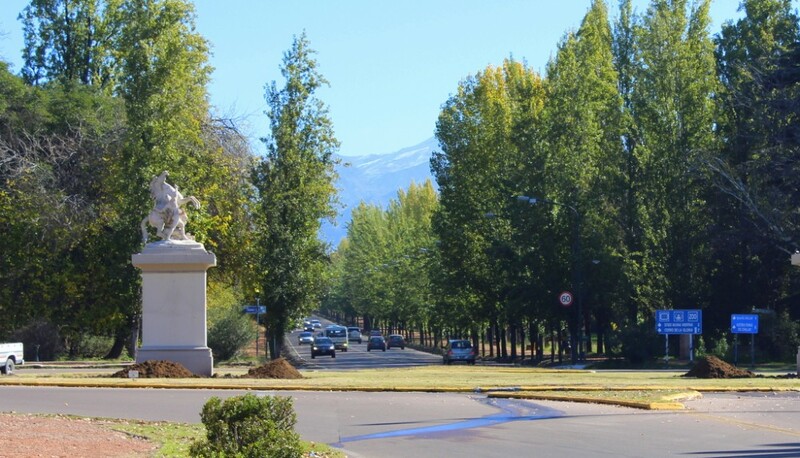 While there’s not all that much to see here, it’s just nice to have a seat and take in the city and begin to appreciate how much area has been set aside for parks, squares and green space in this city that hugs the Andes. 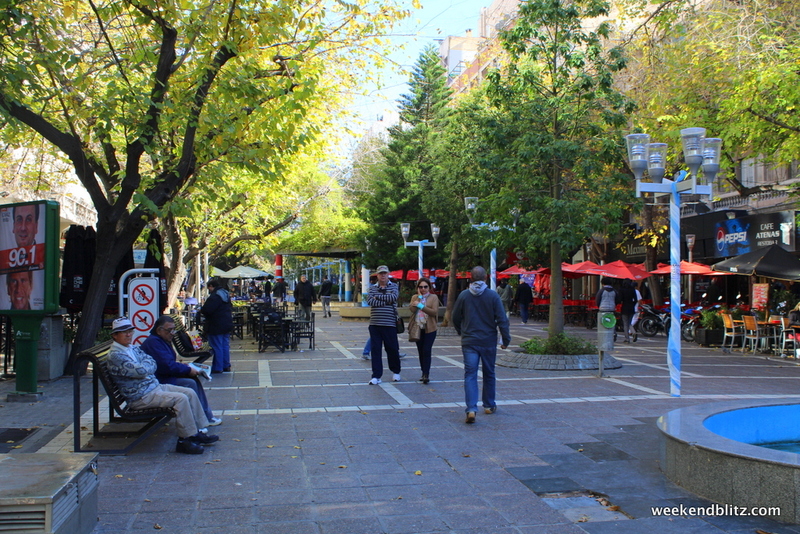 The 4 squares were designed to pay tribute to the founders of the city and create a natural retreat for its residents. 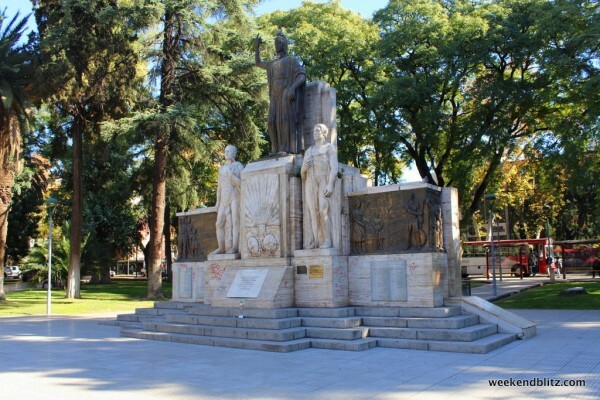 Plaza Italia is a memorial to the Italian families who resettled in Mendoza’s Cuyo neighborhood. One of the park’s landmarks is a statue of Romulus and Remus being suckled by the Roman wolf– a well-known myth in Italian culture pertaining to the founding of Rome. 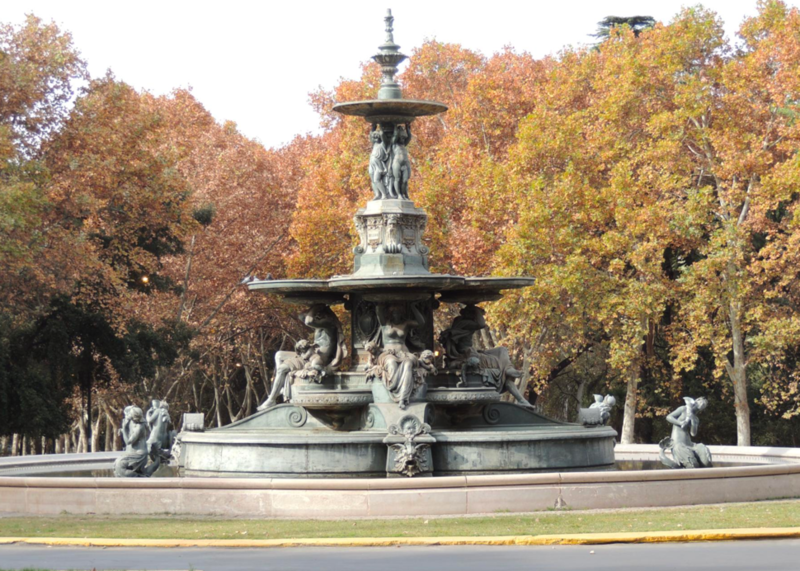 Additionally, the fountain is embellished with Italian-style stones and offer a perfect place to enjoy the weather and passerbys. Plaza España, another one of the squares, has a statue portraying two ladies: the older, more experienced one representing Spain and the younger, more lively woman representing Argentina. 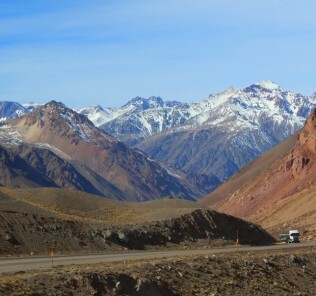 As you begin to head west towards the Parque General San Martin, you’ll walk right along Mendoza’s nightlife hotspot. 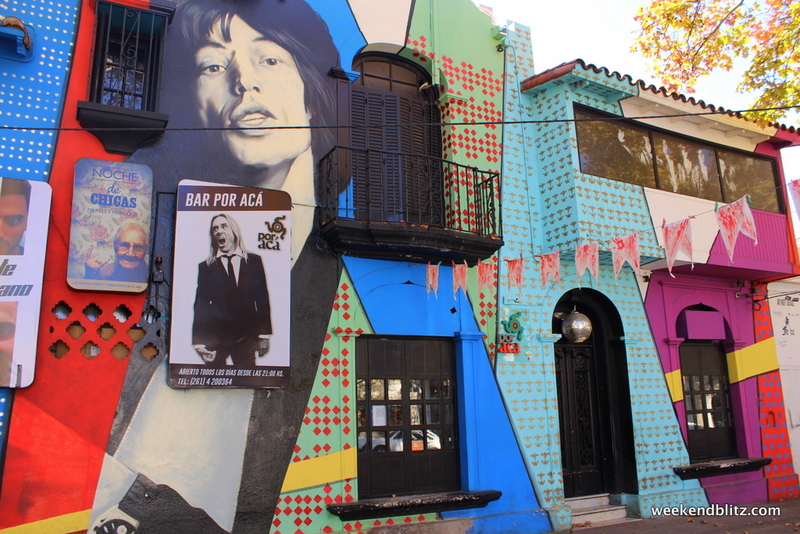 Simply called Arístides for short, this street is lined with bars, pubs and restaurants that are packed on the weekends with locals and tourists alike. 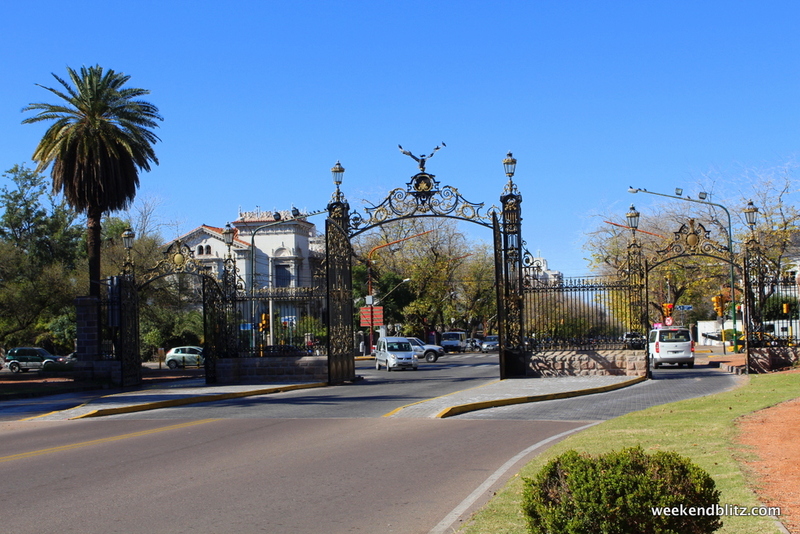 Following Avenida Arístides westward dumps you straight into the General San Martín Park. 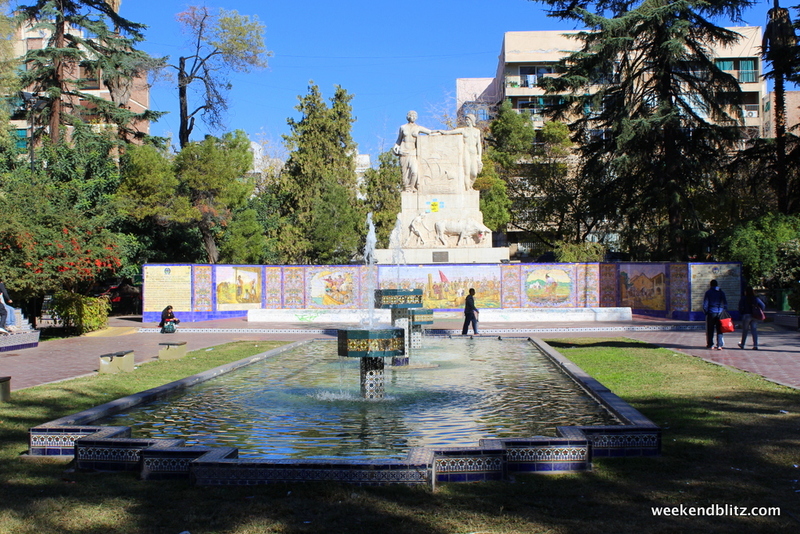 While the park is host to a zoo and football (soccer) stadium, this is really just an excellent place to relax and kill some time in the afternoon. Make sure to check out the few statues (there are apparently over 34 covering the grounds!) 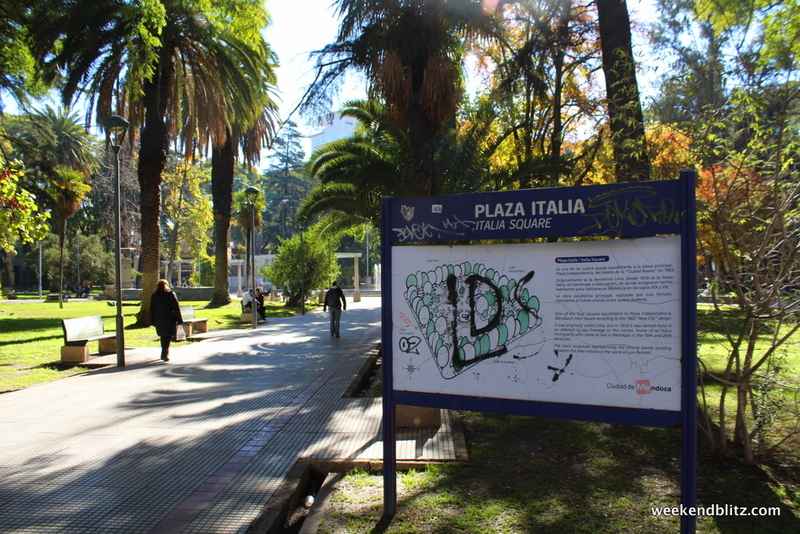 and cafés housed in the park. 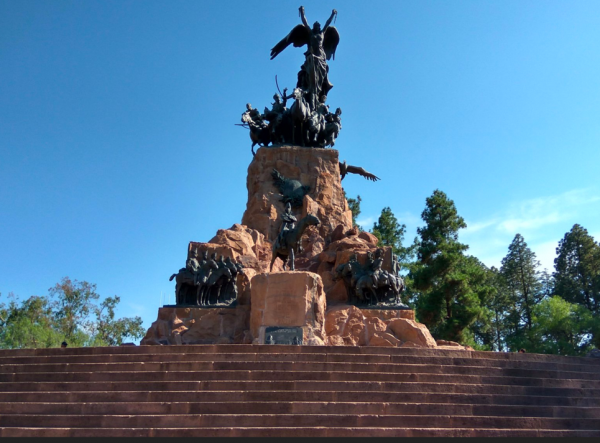 If you’re up for a walk, be sure to scale Cerro de la Gloria (Glory Hill), a small hill that will give you a good vantage point of the whole city. It also hosts one of the bigger and more impressive monuments in the park: the memorial monument to the Army of the Andes. Once you’ve seen enough greenery, head straight down Avenida Emilio Civit from the park gates back towards the city. 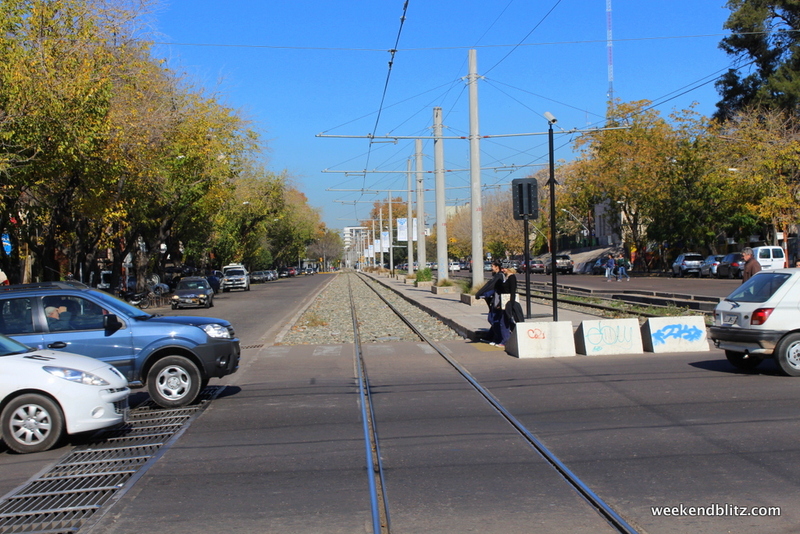 Once you take a left on Avenida Belgrano, you’ll be walking along Mendoza’s one and only tram line. 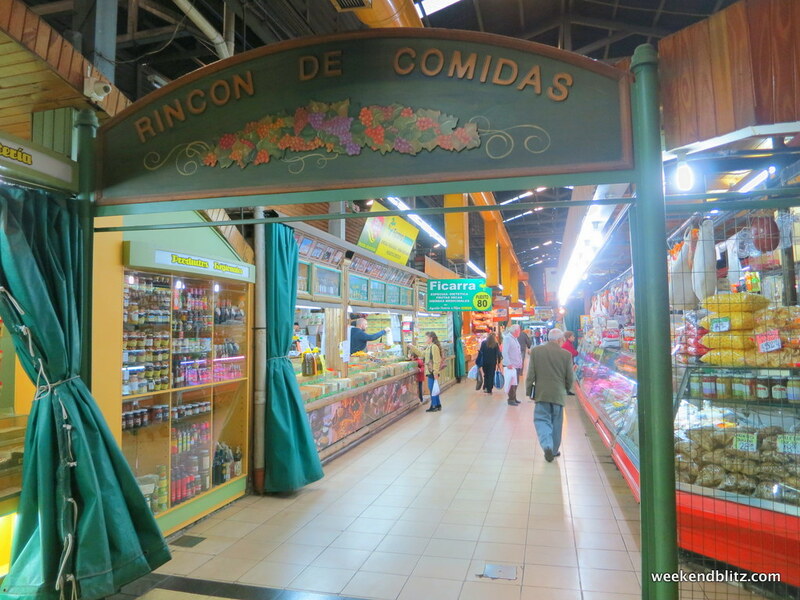 Before long, you’ll reach the Mercado Central. 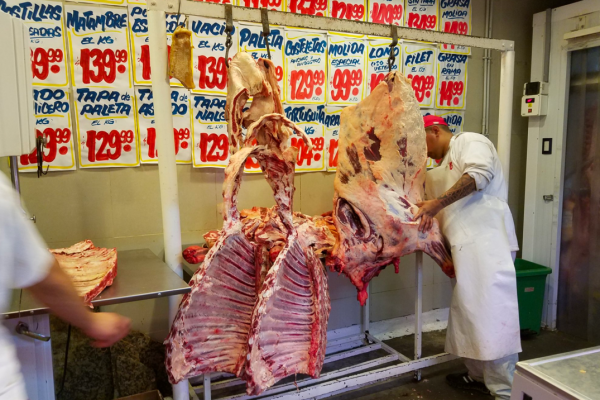 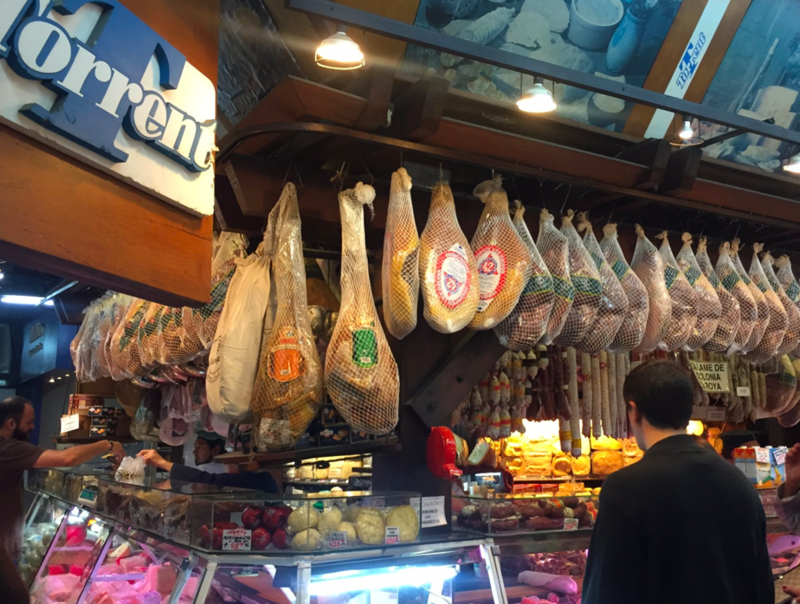 This old-fashioned market is still a beehive of locals that have stopped in to stock up on meats, cheese, produce and fruit. There’s also a sizable (and quite cheap!) 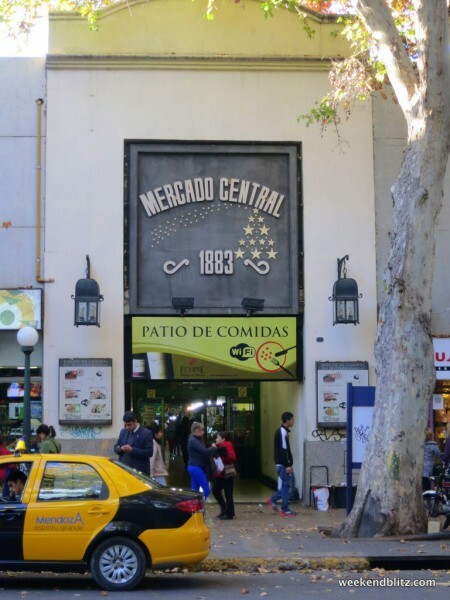 food court that we ate at a few times. 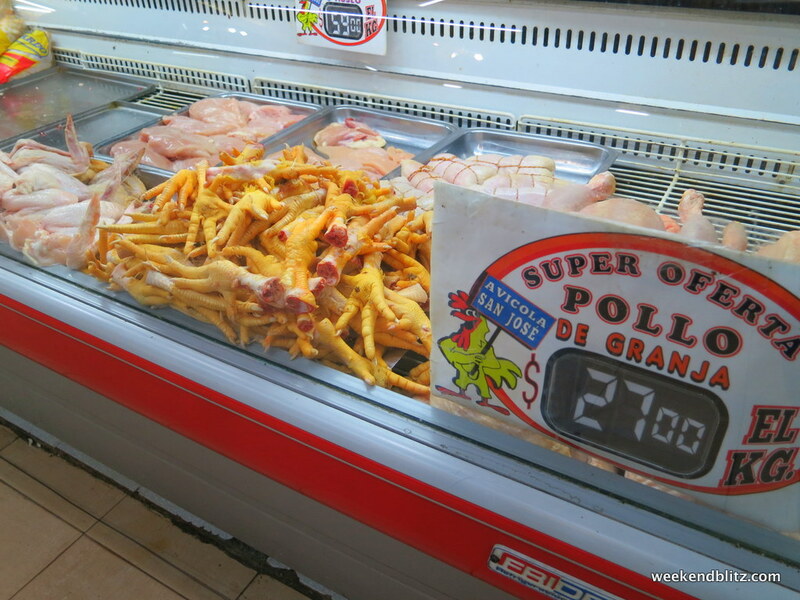 We snagged a few empanadas from Harry’s Fast Foods, one of the vendors for about $0.50 each. 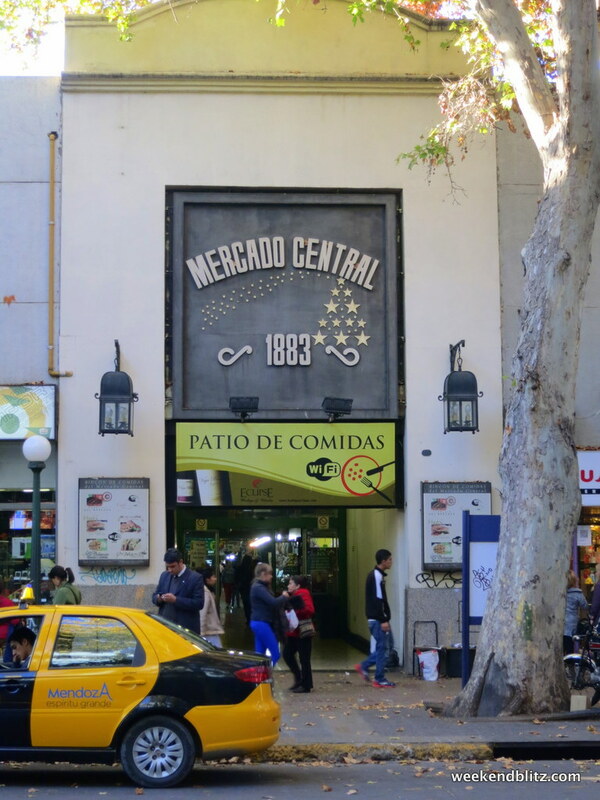 After a small snack in Mercado Central, spend the rest of the day walking up and down Avenida Las Heras. The streets are lined with stores selling just about anything and everything, but we suggest checking out the leather goods if you’re in the market for a nice jacket or boots. 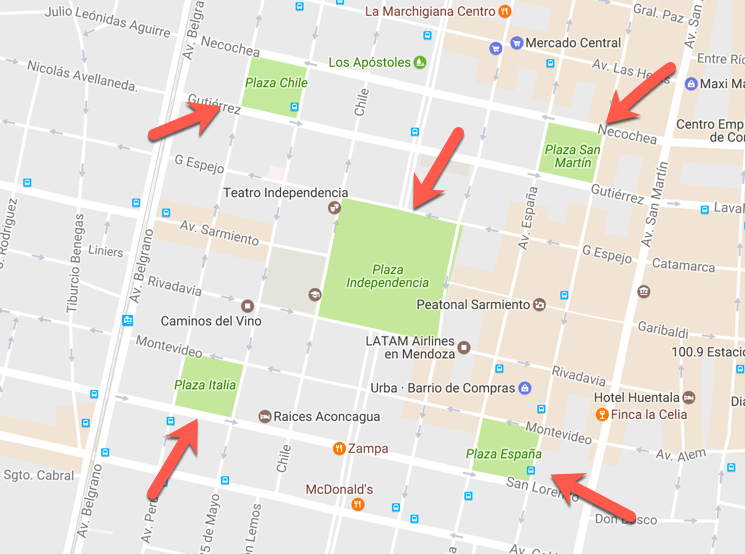 We decided not to buy a leather jacket because we thought we may find a cheaper selection in Buenos Aires, but immediately regretted our decision: this street in Mendoza offers a better and cheaper selection, so be sure to buy here if you’re at all in the market! And, lest we forget, don’t skip out on having an espresso and alfajor at every café along your stop, especially here (we recommend Havana’s)! For an out-of-this-world dinner experience, head to Ocho Cepas (just a block or two from the Park Hyatt Mendoza). 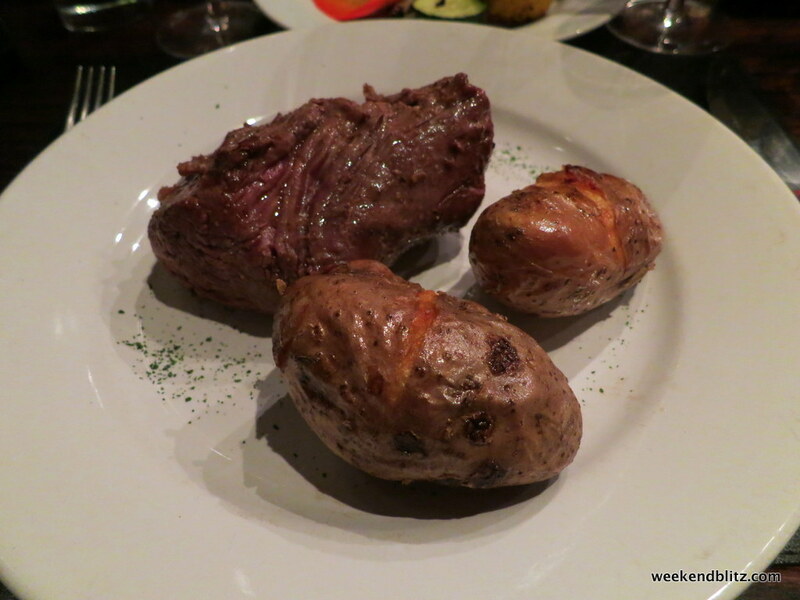 Before arriving in Argentina, we read that, while there’s plenty of cattle in the country, almost no restaurant knows how to cook a good steak; they seem to always overcook it. 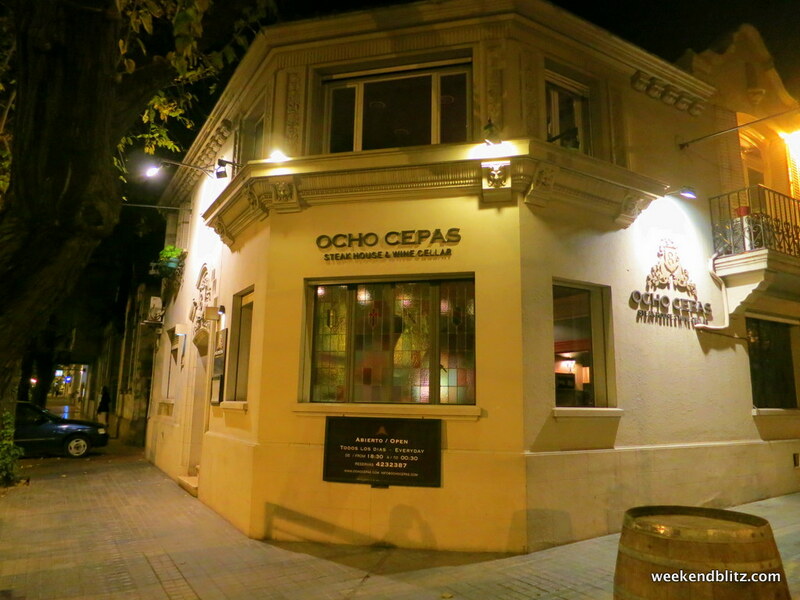 However, we did not find this to be the case at Ocho Cepas and enjoyed some delicious steaks that were cooked absolutely perfectly.